If you're in the market for a small SUV with a little more space and practicality than most, the Tivoli XLV could be for you. It can carry as much as most family estates, but is smaller and easier to park. It might not have the best driving experience, with a jiggly ride and rattly diesel engine, but it does come with a huge cabin, lots of equipment, a wide choice of engines, and two- and four-wheel drive. 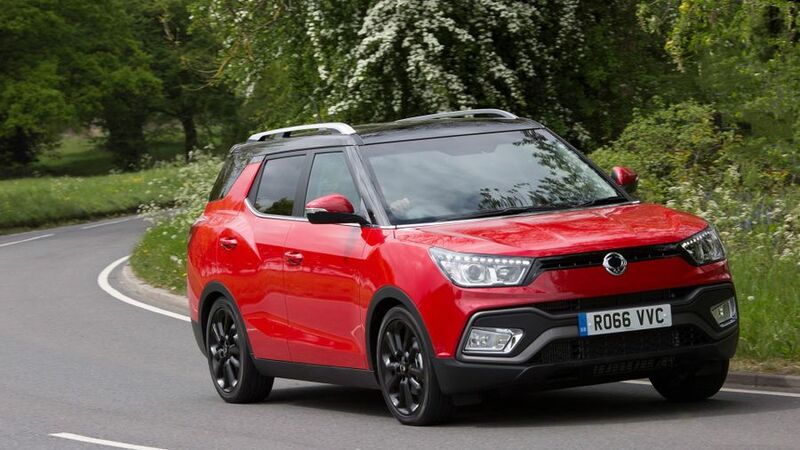 Ssangyong used to be almost a byword for design disasters – with the Rodius seven-seater the chief offender – but the standard Tivoli is a very smart looking car, with neat proportions, and a boxy design. Unfortunately, the XLV looks a bit more awkward, especially when reviewed from the back. The added length needed to create the larger boot is all dumped over the rear wheels, making it look a little unbalanced. It's a shame, because with 18-inch wheels, LED daytime running lights, and a 'floating' roof, from other angles it seems quite sporty. There's only one trim available, which comes with everything we've just listed, plus roof rails for securing bike racks or roof boxes, and a two-tone bumper that both help to further differentiate it from the standard car. Buyers can choose to spice the exterior up with the optional Styling Pack – which adds a black finish to the alloys, a roof spoiler and body-coloured door mirrors. That's pretty much your lot for personalisation, apart from the five standard body colours, and two 'My Tivoli' colours available on request. The interior of the XLV is not quite as distinctive as the outside, but it’s still a pleasant place to spend time. The layout is nice and smart, with SsangYong following the lead of fellow Korean brands Hyundai and Kia in providing lots of easy-to-use, chunky controls for the major functions, and a decent touch-screen in the centre console. 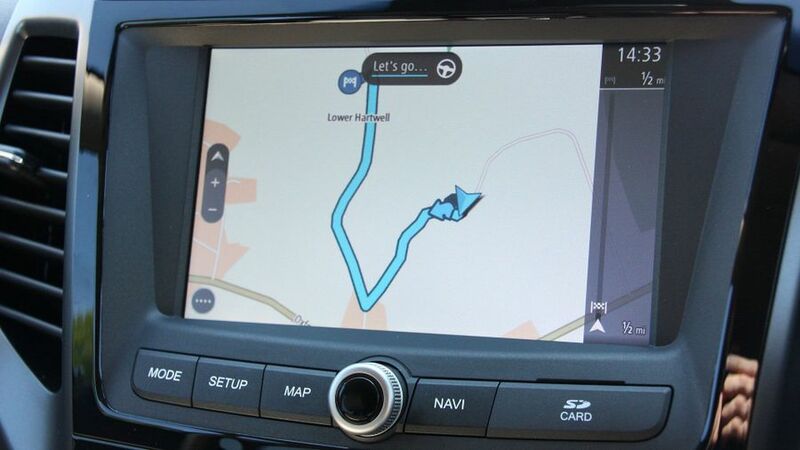 A few of the menus on this screen are hard to fathom, and not as user-friendly as rival systems, but sat-nav and a reversing camera are both standard. Build quality generally is very good, with robust fit and finish throughout, and although some of the plastics look and feel a little below par in a few areas, every model comes with a set of comfortable and supportive heated leather seats. The driving position is good, with lots of room to stretch out in all directions, and plenty of room for adjustment. Because you're sat very upright, all-round and rear visibility are still excellent, even though the XLV is a fair bit longer than the standard Tivoli. One of the Tivoli XLV's biggest strengths is just how much room it has inside. 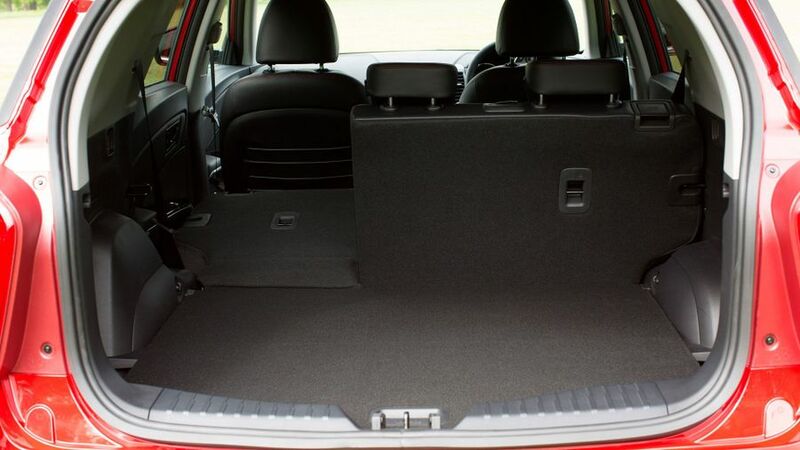 Fill the boot to the roof and it'll carry 720 litres, and that’s more than a lot of estate cars can manage. However, while the boot is enormous, it's not the cleverest. There is a false floor so you can choose between an even loadbay or maximum capacity. The thing is, the false floor doesn’t extend the whole width of the space, so small items could roll off the side and get lost in the spare wheel well. The rear seats – although reclinable - don't slide like they do in some of the XLV's competitors. Still, drop the 60:40 split-folding seats down and you're left with 1,350 litres of space, a huge amount for a car with such a small footprint. Things are very roomy in the passenger compartment, too. The tall windscreen, high roofline and flat floor mean it can carry five adults in total comfort, and everyone on board will have both knee- and headroom to spare. The cabin is also neatly designed, with lots of cubbies dotted around, door pockets that are deep and wide enough to take large water bottles, and there's stretchy elastic on the front seat backs to store maps or magazines. Caravanners will be pleased to hear the 4x4 version also makes a useful towing vehicle, as it can drag up to 1,500kgs if required. The Tivoli XLV is considerably more polished than SsangYong’s previous cars, and it smothers most small bumps reasonably. However, although it’s closing the gap to its competitors, ride comfort is one area in which it still noticeably lags behind its European rivals. The road surface doesn’t have to deteriorate too much before the Tivoli begins to struggle. Even at low speeds around town, the suspension transmits too many sharp jolts into the cabin, but because the springs are otherwise so soft, they come as a nasty surprise. It also rolls quite dramatically into tight corners, it has less grip than its rivals, and the front tyres will wash wide without too much provocation. It's safe and secure, but the XLV feels less agile, well balanced or enjoyable to drive as, say, a Renault Captur. There are different settings for the steering, but they add odd, unnecessary weight rather than additional feedback. Four-wheel drive models have a slightly more sophisticated rear suspension, but still don't ride especially well, although that's something that's equally true of the Nissan Juke and Kia Soul. If you want a mini-SUV with the accent on sport, we’d point you in the direction of a Skoda Yeti. Buyers who want the added space offered by the XLV get a single engine choice – a 1.6-litre diesel which produces just 113bhp, but a healthy slug of mid-range torque that means you can make relatively brisk progress, without the constant need to change gear. It also means the Tivoli won't feel overwhelmed when it's fully loaded, but that's where the positives stop. As soon as you try and work it hard, when towing, or driving up a steep incline, the engine becomes very noisy and strained, so the XLV is a car you have to drive in a relaxed and steady manner if you value your peace and quiet. There are two gearboxes, both with six forward gears, one manual, and one automatic. The manual is relatively easy to use, but the clutch is abrupt, and the shift action is quite stiff, so it can be tricky to drive smoothly. The auto is even easier to drive, although it can be slow to respond if you need a sudden burst of acceleration. As you'll see below, you'll pay quite a large penalty in running costs. Several rivals are more refined on the move, and feel quicker off the mark too. The standard Tivoli is exceptionally good value, but because the XLV only come in the top ELX spec with all the bells and whistles, it's not that much cheaper than its mainstream rivals. It's priced roughly the same as entry-level diesel versions of the SUVs it competes with, saving you thousands of pounds in pricey optional extras. As for the running costs, your choice of gearbox and transmission will have a major impact on your yearly tax bills. Go for the manual, front-wheel drive model, and you'll have plenty of spare cash, with CO2 emissions of just 117g/km, and a claimed combined economy figure of more than 60mpg. At the other end of the scale, the four-wheel drive auto sits five tax bands higher, pumping out 164g/km of CO2 and reducing fuel economy to just over 50mpg. It's a similar story with company car tax, but it's also worth noting that like the Tivoli, the XLV sits in a higher insurance group than some other crossovers, so your premiums might be a little steeper than expected. 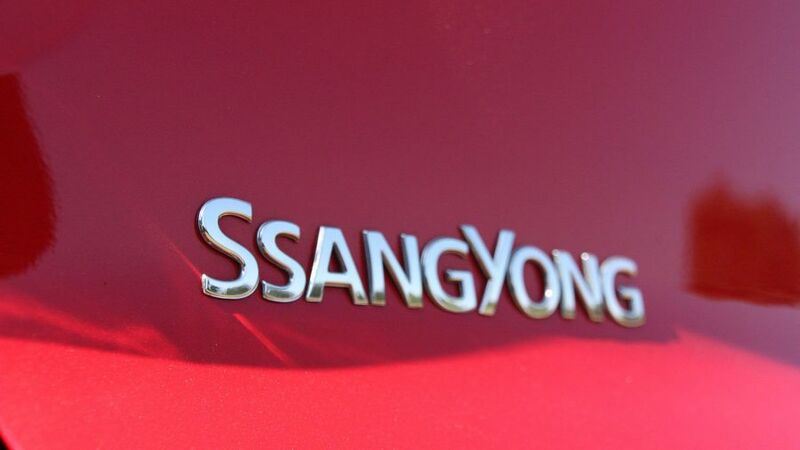 It’s fair to say that SsangYong doesn’t have the best record for reliability, sitting well down in the bottom half of the manufacturer standings with Warranty Direct. However, that score is affected by some much older models, and owners of newer models on our website generally (if not exclusively) report good reliability, while the standard five-year warranty gives some extra peace of mind to anxious buyers who are uneasy about taking the plunge with a smaller, lesser known brand. This matches the cover you'll get from brands famed for durability, including Toyota and Hyundai. Also, the mechanical parts in the Tivoli XLV are all tried and tested units – and this simplicity should (in theory) lead to less trouble further down the line. The Tivoli XLV comes with a generous amount of standard safety equipment. Seven airbags, including one for the driver's knees, hill start assist, tyre pressure monitors and stability control are all present and correct. Models from 2017 onwards come with automatic emergency braking and forward collision warning, which will sound an alarm and then apply the brakes if the driver doesn’t react to a slowing car in front. Safety body Euro NCAP crash tested the XLV in 2016 and awarded it three stars, although the extra systems added as standard in 2017 take that score to four. 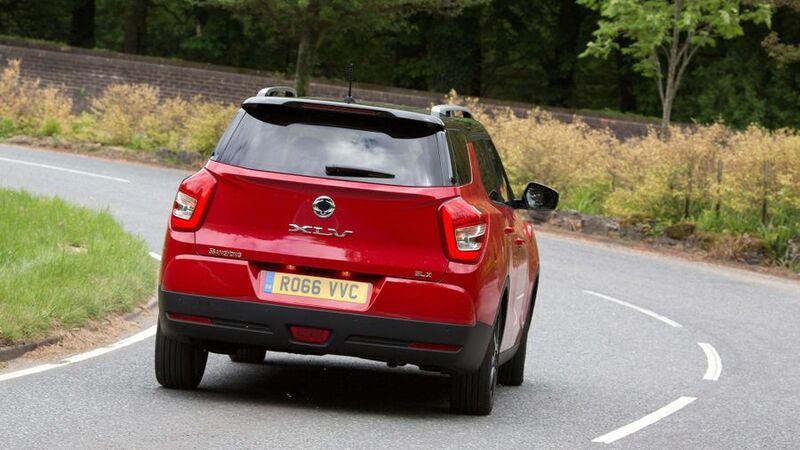 At this price, it’s rare that such systems are provided as standard, and Ssangyong is to be commended for that, but there are rivals such as the Nissan Qashqai and Renault Kadjar that score a maximum five stars, albeit at a higher price. As we mentioned, the XLV version of the Tivoli comes in just one specification, and it has everything you need. Apart from the 18-inch wheels, fog lights, and power-folding mirrors on the outside, the interior comes fully loaded, too. Heated leather seats, a seven-inch touch-screen display with built-in sat-nav, Bluetooth, cruise and climate controls, front and rear parking sensors; the list goes on. If you wanted to match this level of specification in rivals, you'd have to spend thousands of pounds more. Perhaps the only criticism we could make is with the lack of flexibility or choice; because you are limited to one trim, you can either afford all the impressive kit or you can't. There is no room to mix and match for the stuff you really need. Some buyers will prefer the simplicity, but if you’re keen to spend less, the smaller standard Tivoli, which comes in three trims, is the better choice. 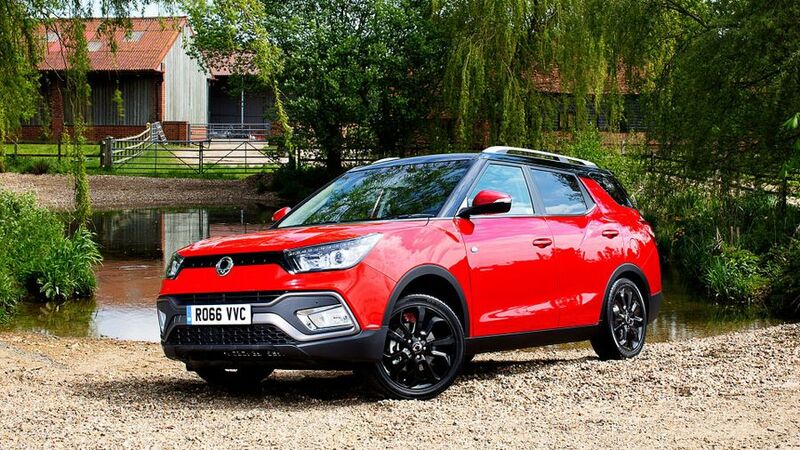 If you're after a small SUV that is flexible enough to do a wide variety of jobs, tough enough to handle light off-roading or towing, and affordable while still highly equipped, the Tivoli XLV makes a compelling case for itself. A noisy diesel engine, and so-so handling will be secondary concerns to most prospective buyers, but if you don't need the extra space, there are more rounded crossovers out there.